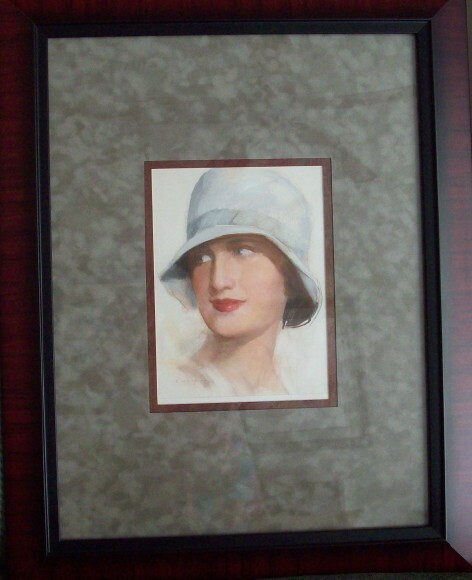 This pastel by Guy Hoff is a wonderful image of a girl wearing a Cloche hat. Guy Hoff was a well known illustrator and produced covers for both the Saturday Evening Post and McCall Magazines as well as other magazines. This pastel is on paper with the outside of frame measuring 22 x 28 inches and the sight size being 8 x 10.5 inches. This pastel was probably used in a magazine such as Ladies Home Companion or Ladies Home Journal.